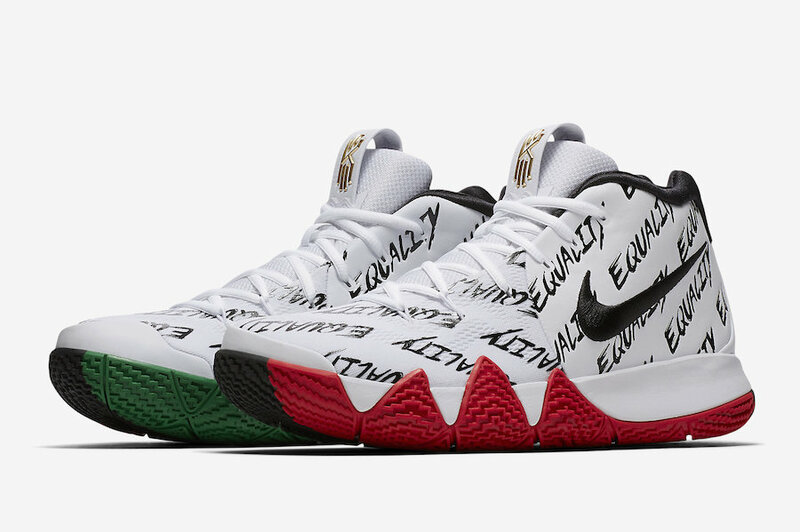 The Nike Kyrie 4 BHM will take part of this year’s Nike Basketball Black History Month Collection scheduled to debut on Martin Luther King Jr. Day. Look for the Nike Kyrie 4 “BHM” to release on January 15th at select Nike Basketball retailers and Nike.com. The retail price tag is set at $120 USD. UPDATE: Nike releases official photos of the “BHM” Nike Kyrie 4 that drops on MLK Day.